Fun and charming for anyone of any age, whether you're 4 or 40 or 84 1/2! Would have given this give except chapter 5 cuts off before it's over. Beautiful production. Some of the classic stories. We have both the dramatised and undramatised version of this book and this one is far our favourite. My small son (5 years) loves Winnie bumping down the stairs and has taken to saying "oh bother" whenever something does not go his way. He loves listening to it before bed at night and we spend some time chatting about the stories. 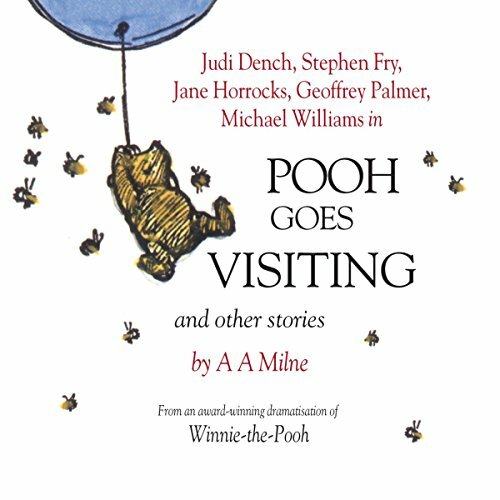 Although I have read all these stories to him through the years this narration is really making AA Milne part of his childhood memory and, I hope, will be passed on to his children when the time comes.